One Thursday in January I was sipping tea with my friend Maggie Tizifa on my patio in Lilongwe, Malawi. In southern Africa it was the heart of the rainy season, and we were enjoying the flowers glowing from the previous day's soak: bird-like cannas and spidery passion fruit blooms. Suddenly, Maggie exclaimed in a penny-whistle voice, "You have this food in your garden and you never told me?" Her eyes twinkled in her coal black face. Her smile widened and chin tucked as she giggled and added, "This, this delicacy that I love?" A minute later a caterpillar stretched clear across her palm, its spikes curved like her fingernails. I took a deep breath and laughed. I'd met the amazing African wild, where flora and fauna alike seem to be the largest, brightest, and fiercest on earth. Yet even after three years in Malawi, I asked myself: will you eat it? I'd met Maggie in 2003 when our family of four moved to Malawi, a flame-shaped country bordered by Mozambique and Zambia. With a huge smile, twinkling eyes and an impossibly wrapped turban of color on her round head, she'd been one of the first to welcome me to my new country. Later our shared passions for textiles, food and prayer had fostered a friendship. That morning after exclaiming about the secret food, she pointed to a nearby tree with a low, wide canopy and round leaves. I looked in, around, and below the branches, but I couldn't see any fruit or nuts. Maggie got up and walked deliberately, her stilettos sinking in the rain-soaked ground. I followed her, looking now for a very still bird or small rodent. With a whoosh and a pinch with well-polished nails, she held the "delicacy," an undulating black caterpillar as thick as her thumb. I'd met many bugs in Malawi: the three-inch cockroaches that scurry like mice, the dung beetles pushing their rock-hard balls, the tiny red ant whose bite stings for hours. Yet this new creature topped my chart of fantastic crawling things. The black body highlighted the paired curved white spikes. Along the belly red spots glowed like eyes with orange irises. It raised its head – or tail, which were identical – and swayed back and forth. Maggie was ecstatic. She hadn't seen these in years and couldn't wait to taste them. Within minutes, she'd assigned Mr. Banda, our gardener to collect a bucketful for her to pick up later that day. "And you'll try some, won't you?" she said, with a chin-tucking chuckle. "Aaah, I will?" I answered, laughing and smiling. I avoided the locally offensive word 'no,' but thought: fascinating creatures. Delicacy, no. Later that week I dropped by her tailoring shop to get some pillow covers made. Maggie's business had grown until she now had three men working for her, each at his own treadle-pump machine. Safu, he went by his last name. I greeted Safu and then exchanged a hug with Maggie. "The treats are almost ready," she said. "We've boiled them and set them out to dry on the roof." "Ooh!" I said. "Maggie, didn't you say you ate these as a child? Can you tell me more about that?" I said, focusing on turquoise cloth with a black fish pattern. I liked visiting Maggie's shop just to enjoy the fabrics that hung in newly invented patterns of dresses and shirts on circular racks, and two to four-meter stretches of fabric hung high, close to the ceiling. The colors and patterns of these African cloths were endless: from palms to birds to cell phones and high heels woven in brilliant color. I had some time to finger through a whole rack of blouses while Maggie talked. Like most Malawians I'd met, she was always ready with a story. When Maggie was about ten, she lived with an abusive stepmother and a step-sister. Maggie got most of the dishes to do, and when they weren't cleaned in a certain way, she'd get no dinner. She often ate alone, her father often traveling for work. She had a single outfit for school; extra clothes went to her sister. When Maggie's grandmother heard about the abuse, she invited Maggie to live with her in father's home village. A widow, Mrs. Esther Ngwira had two sources of income: making and selling pots, and selling homemade beer. Men would work her fields of maize and beans, and get paid in the local brew at lunchtime. "She didn't read or write, but she was intelligent," Maggie said, tapping her eyebrow. Mrs. Ngwira avoided hunger through several years of drought, but there were few luxuries. Grandma's household reflected how 80% of Malawians still live: in small towns or villages, subsisting on the maize they grow, and if industrious and healthy, another self-made job. From the 1960's through 1990's, maize was emphasized in Malawi by the local government and foreign aid alike, through free seed and fertilizer packs and subsidized prices. Gradually, people forgot alternative crops and sources of food. Now every year around January and February, people go hungry: last year's stored maize is gone, this year's won't be harvested until April. According to UNICEF, in Malawi 46% of children under age five are moderately or severely growth-stunted. In Mrs. Ngwira's village, the caterpillars, which fatten during the hunger season, were a rich source of protein. For ten-year-old Maggie, they meant a rare treat – a little pocket money. "We'd hurry home from school and change out of our school uniforms, "Maggie related. " Then we'd take a plastic bucket or a chitenje (a two-meter length of local cloth) and race to the caterpillar trees. I imagined hanging in the rough-barked tree, plucking the thorny beasts. Bloody fingers and knees, I wondered? Maggie nodded, laughing. In Maggie's youth, twenty-five years ago, she got about five tambala – one tambala about a penny at the time—bucket. Pocket change! Maggie smiled. At the local tea room, one tambala bought one "sweet" (a hard candy). "My friends and I would take a rock and split that sweet so we each got a taste," she remembered. During the next week, I asked other Malawians about the dragon: what did they call it? Did many people eat these today? Mr. Banda the gardener called it "matondo." But a neighbor said no, that was the green caterpillar that ate cabbages. My Chichewa (the national language of Malawi) dictionary had ten entries, distinguishing none, for the English caterpillar. It had nineteen entries for basket but one entry for pen, pencil, or writing material. A little internet research revealed that spiky dragon is the larvae of bunaea alcinoe, a common Emperor moth in southern Africa. The next week, I headed back to Maggie's shop. On the way to the Paradise strip mall where her shop was located, I saw some women and children along the road. They were bent at the hip, picking up acorn-sized fruits and putting them in used plastic bags. They could sell them for a few dollars a bag. Awful, back-breaking work for that price, I thought; yet how resourceful, to collect this local edible food along the road. In a parallel to the U.S. organic food movement, Africa is re-awakening to the wisdom of old local crops and other food sources. International groups like Permaculture networks encourage those grandmas and wise young people who go against the conventional reliance on maize for food. Instead, they eat cassava and leafy greens, and enjoy insects and local seeds for protein. The United Nation's World Food Programme, though it still focuses addressing food crises with massive imported donations, funds some of these local food efforts. In Maggie's shop, the caterpillar was delicacy, not emergency fare. The following week when I reported my caterpillar research, Maggie looked disinterested and said, "In the North where I'm from, we call it malasankwiru." Nkwiru means a taste for meat. Malasa means to itch. Now it was my turn to look blank. From under the counter displaying threads and buttons, she pulled out a plastic tub, the bottom dark with dozens of black cheese curls. At least, that's what I tried to imagine as she laughed and bit into one. Was it her delight or my pride that finally made me do it? I tried to get one with the fewest spikes left on it, and bit off half. It was tough, chewy and slightly fishy, but mostly like blackened gristle. To my surprise, it wasn't so bad – I finished the second bite. Maggie hugged me and laughed. I had brought something too—some maple candy sent from my parents' native New York. I offered Maggie one, and quickly bit into one myself. Maggie nibbled and thanked me—then reached for another caterpillar. Sharing cultures is a wonderful thing, but when it comes to food, we never lose our taste for home. 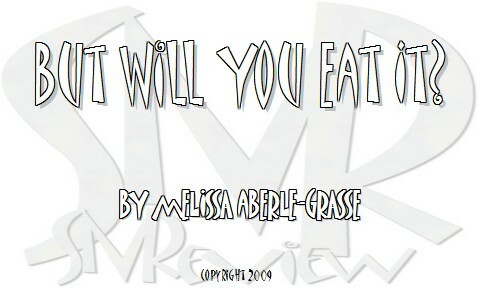 Copyright 2008, Melissa Aberle-Grasse. © This work is protected under the U.S. copyright laws. It may not be reproduced, reprinted, reused, or altered without the expressed written permission of the author.